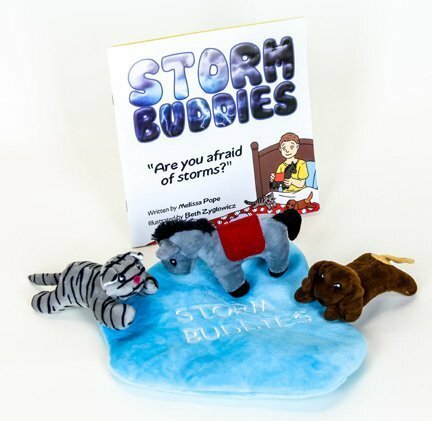 Home - Storm BuddiesStorm Buddies | Is Your Child Afraid of Storms? This is an awesome book for kids of all ages. I have the set in my classroom and at home for my children. They always know where their buddies are during a storm. Is Your Child Afraid of Storms? My middle son (now a teenager) was terrified of storms when he was younger. He would make himself sick with worry. I always wished he would have had something to comfort him during stormy weather. I have tried to create characters that can come alive when children need them the most. Hopefully, this book will be helpful to lots of boys and girls who share in my son’s fear of storms. Melissa Pope was featured on the Gorge News Center! Listen to the podcast here.